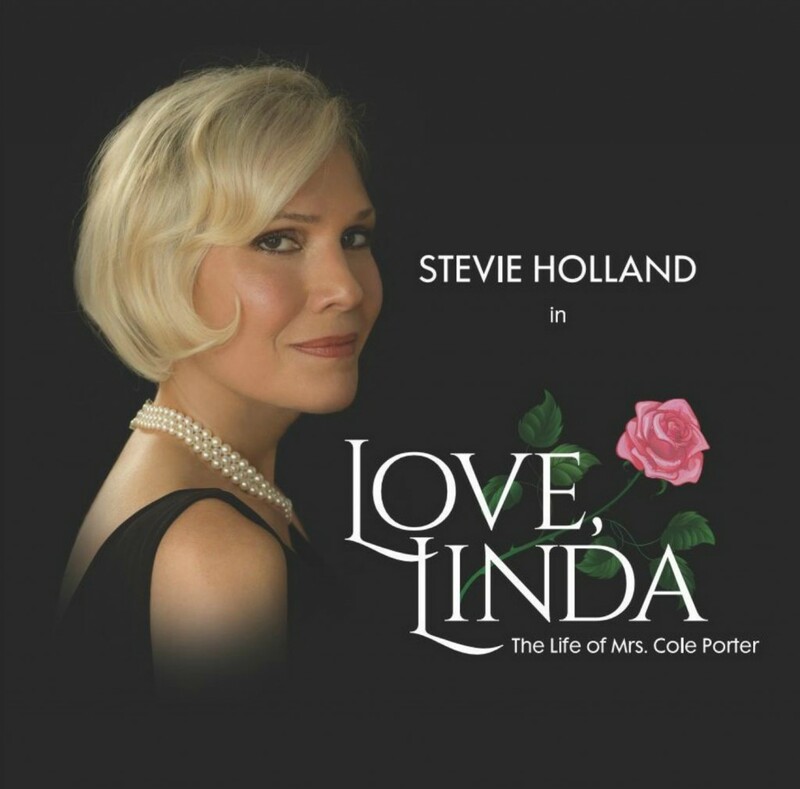 LOVE, LINDA: THE LIFE OF MRS. COLE PORTER is a one-woman, tour de force musical and theatrical journey, created by Stevie Holland and Gary William Friedman. LOVE, LINDA tells the story of Linda Lee Thomas, the Southern beauty who married and was the driving force behind legendary songwriter Cole Porter at the dawn of the roaring twenties. Though Cole Porter was gay, their companionship and love lasted through 35 years of marriage and together they shared a spectacular, glamour-filled life. With innovative arrangements, Cole Porter’s timeless music and lyrics weave through the compelling narrative, celebrating the deep love that Linda and Cole shared, while examining the darker sides of their life. LOVE, LINDA: The Life of Mrs. Cole Porter, starring Stevie Holland, opened on October 28th, 2009 at the Triad Theater in NYC, directed by Ben West. After touring in subsequent regional performances, it had its Off-Broadway premiere at the York Theatre on December 3rd, 2013, directed by Richard Maltby, Jr. LOVE, LINDA returned to the Triad Theater on October 17, 2018, directed by Richard Maltby, Jr.
Visit The Love, Linda Website for more info. READ FEATURE ABOUT LOVE, LINDA RECORDING IN JAZZTIMES.